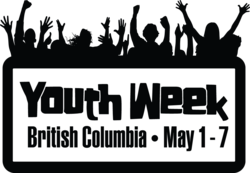 If your event goes beyond the basic safety you would put in place for any event you organize and creatively raises awareness of health and safety for youth in the workplace, we want to hear from you! Please complete the sponsorship application and send it to robin.schooley@worksafebc.com by April 3. We will review all submissions, but only those that make a true workplace health and safety connection will be considered. Got a really great idea and are hoping for funding in excess of $200? Our limit is typically set at $200, but if you have an exceptional idea that pushes the boundaries, let us know and we’ll consider it!